My preparations for “Law of Value 8: subject/object” which is to attempt to make sense of the debate over whether value is subjective or objective have led me to reread some of the early contributions to this debate. 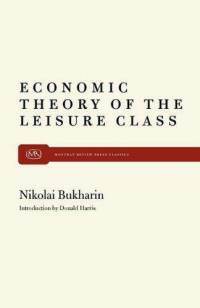 One of these contributions is Nikolai Bukharin’s “Economic Theory of the Leisure Class”, published in 1919. In it Bukharin provides an extended critique of marginal utility theory and the Austrian school of economics especially as represented by Eugene Bohm-Bawerk, the leading spokesman of the Austrian school at the time and a famous critic of Marx. As part of this critique Bukharin lays out what he sees as the key methodological and theoretical differences between the two approaches, especially in the opening chapters. Here I summarize and critique Bukharin’s position as an exercise in self-clarification to help me further my goal of straightening out this nasty debate so that I can get on to making my Law of Value 8 video. My critique of Bukharin has less to do with his attack on the Austrian school than with his defense of Marx which I see as contributing to the mischaracterization of Marx’s value theory in certain regards. Of course this is Marx quoting Kaufmann’s description of Marx. I don’t really want to get into debates over textual interpretation but I really don’t think this quote adequately captures the subtlety of Marx’s theory of value or history, in fact I think it ascribes certain features of the social relations of capitalism to Marx’s theory of history in general, a mistake that Bukharin repeats often in this book. It is quite the case that in a capitalist society social laws in the form of commodities, prices, and capital dominate over subjects. It is quite the case that the “social movement” appears as “independent of human will”. But the radical part of Marx’s theory is to expose the historical nature of such appearances. It is not the case that a theory of history must find such a subject/object inversion in all past and future societies. I would not characterize Marx’s theory of society in general, of history in general, as one in which the objective factor dominates over the subjective. Rather I’d say that Marx’s focus is not on the individual subject or objective conditions but rather on the mode of production which determines the particular relation between the subject and objective reality. Objects have no objective universal significance to humans. They are given meaning by people. Neither subjects or objects have any intrinsic meaning. Their meanings are derived from their specific mutual interactions. Marx calls these interactions the “mode of production”. The mode of production determines how people interface with the objective world around them, what meaning they give objects. In turn the mode of production proscribes a specific world view upon subjects: it determines what we want and how we go about getting it. The capitalist mode of production is characterized by a rather specific subject/object relation which Marx refers to as a subject/object inversion where objects become the subjects. Objects called commodities take on social powers and regulate their productive relations between people. Capital becomes the active agency in society, consuming objects called people. This interpretation, which I believe is the correct interpretation of Marx, puts the fetishism argument at the center of his theory of value. Bukharin, on the other hand, only mentions commodity fetishism in passing in these opening chapters, referring to “the psychology of fetishism”. But fetishism is not about the psychology of subjects. It is not about people being fooled into misunderstanding the reality of capitalism. Fetishism is a description of the subject-object inversion which characterizes capitalism, subjecting people to the blind will of economic laws which Marx calls “the law of value”. Such an interpretation would allow Bukharin a more nuanced argument. For instance, he often gives price as an example of a social phenomenon independent of the will of individuals. Bukharin’s target here is obviously subjective value theory. True- we don’t go to the store and pay whatever price we want. But it is also true that changes in demand do have at least temporary effects on prices. Doesn’t this mean that prices are influenced, by some degree, by the wills of individuals? On such po ints Bukharin would have done well to read more of his contemporary Isaac Rubin on the form/content description. Yes we can make the argument that the content of value, labor, has a long-run effect on prices and that through the day-to-day fluctuations in prices caused by the colliding of wills in the market labor time is the ultimate determinate. But this is not even the focus of Marx’s theory of value. Rather the form of value is what was of interest to Marx. The form of value is the fetishism of commodities, the replacement of social relations between people by economic relations between objects. This allows us to identify all sorts of social antagonisms within the value form itself, antagonisms not apparent if we are just focused on the content of value. 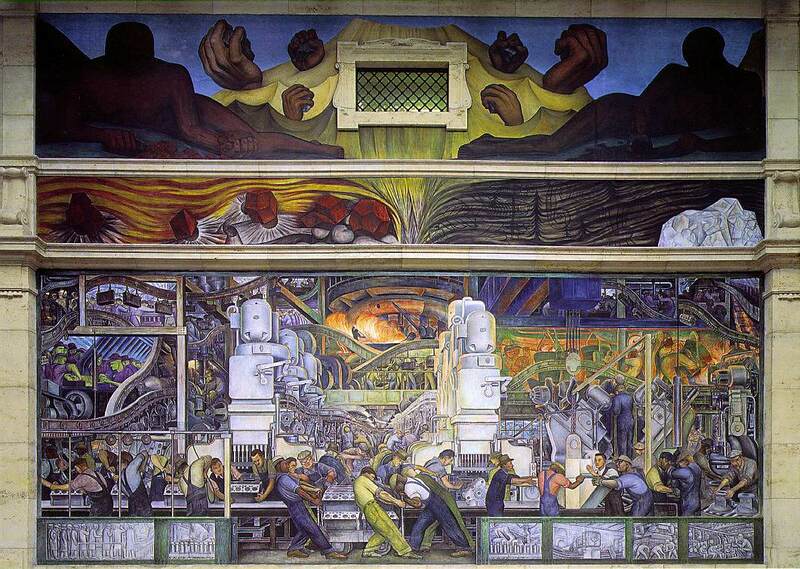 After all, Smith and Ricardo agreed that labor was the content of value but their theories didn’t lead to radical critiques of the inherent social antagonisms of capital. These social antagonisms are what allow Marx to identify the forces which constantly revolutionize production, changing the productivity of labor, changing the value of commodities. They also lead to cycles of crisis and prosperity. These are the really unique and useful contributions by Marx to the theory of price. The preferences of consumers very well may cause the prices of shoes to fluctuate above or below their values. But this is no where near as interesting or useful a phenomenon as the phenomena of crisis, unemployment, devaluation and all of the other features of capital we learn from an analysis of the form of value. on to Bukharin’s critique of marginal utility…..
Bukharin rightly points out the absurdity of such a starting point since the isolated individual is the not a historical precursor to society and hence, any theoretical abstraction of the isolated individual will naturally just read modern categories into his/her mentality. In reality individual choices and actions always are conditioned by pre-existing conditions. This leads to Bukharin’s central critique of the Austrain school, a point he will repeat in many forms throughout the book: that the theory of marginal utility is inherently circular in its logic. Our estimations of value are always based on a pre-existing world of prices. Our value estimates are not just based on an abstract desire for the use-value of commodities. Commodities also have exchange-values and these are very much in our mind when we form our preferences. 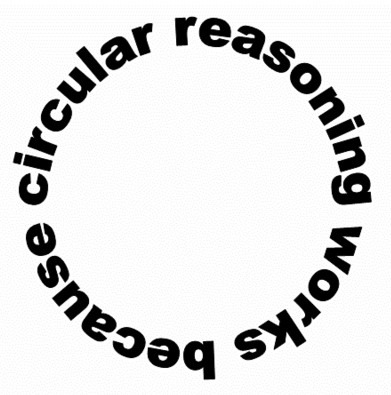 It is circular reasoning to insist that subjective preferences determine exchange value when exchange value also determines subjective preferences. The bourgeois abstract individual and his choices are the starting point for Austrian/bourgeois theory. In order to get this picture of an abstract individual making choices we abstract away all historically particular forms of production, all production in general, all historically particular forms of organization of social life, and all society in general. We are left with the incredibly banal observation: that people make choices. Then the Austrians assume, without justification, that these generic choices are the same types of choices the calculating, rational bourgeois consumer makes. Thus bourgeois society is the natural expression of innate human characteristics and we need no other information to understand bourgeois society other than these banal observations about the way we make choices. (This is asserted, not proven.) This form of abstraction, in which we abstract away all of the important specifics in order to get the most generic qualities and then sneak the qualities of the specific into the generic, is an ideological type of abstraction. It’s ideological because such a method automatically justifies the present order of society as a natural, universal order. Much of the rest of Bukharin’s points in these opening chapters I agree with. My purpose in reviewing these chapters is to aid in my process of self-clarification on this issue of Objective/Subjective value. My working hypothesis is that there is something insufficient in much of this debate and that this insufficiency has to do with the way the basic problem is understood, or misunderstood; hence my desire to reread some of these opening contributions to the debate to see where things went awry. For Bukharin, despite a lot of really fantastic criticism of the subjective method, I think the basic flaw is that he accepts the terms of the debate (characterizing Marx’s method as one of “extreme objectivism”) as a debate between objective and subjective approaches. I think Marxist theory is not a theory where subjects are unimportant and objective conditions dominate. Rather it seeks to understand the mode of production which determines the form of the subject/object relation. The specific form the capitalist mode of production takes is one where commodity fetishism dominates and there is subject/object inversion. (2) Nicole Pepperell has an interesting recent post on her new blog about Marx’s use of abstraction. This entry was posted in The Law of Value and tagged abstraction, austrain, bohm-bawerk, bukharin, circularity, crisis, dialectic, economics, infinite regression, labor, labor thoery of value, ltv, marginal utility, marx, objective, subjective, value. Bookmark the permalink. Awesome. I actually have been writing a Critique of Bohm-Bawerk myself, most of which I came about before reading Rudolf Hilferding, who also wrote a critique. Some of Bohm-Bawerk’s critique is just odd. He claims Marx never considers nature as a source of wealth (um, read the first 3 lines of Critique of Gotha or the first chapter of capital vol 1). 1) No, workers still advance their labor before they are paid. 2) In order to explain away exploitation, it must be assumed that the equal future price some equals the discounting rate – otherwise, its still exploitation (if my discount rate was 100 now, 105 two weeks now…etc and it is sold two weeks from now for 120, then it is in fact still exploitative). But as Ebeling claims at 30:19, the price in the future is equal to the reneumeration due for advancing capital to the worker. But such a statement implies that workers, from the productive side, actually control prices (the price will be sold at their discount rate) and thus, changes in prices – i’ll give them the benefit of the doubt and claim natural prices, to allow supply/demand fluctuations – are the result of changes in worker time preference. But such an idea is hardly reality – if prices drop, does it mean that time preference has elongated (more demand for future goods)? Yet, don’t prices drop in a recession, when demand for current consumption vs future consumption rises? Supposing wages increase, then either current consumption can increase (assuming workers started off really poor) or savings increase (assuming more a skilled worker – I’m kinda going off Keynes MPC) but in either case, surplus value will be constrained and thus, profit will need to be raised. 3) How do we explain the difference in reneumeration between workers and modern day CEO’s, who often make more than 10x that of an average factory worker? Do they have discount values of 10000% percent? 4) Its more than clear that the average capitalist won’t hire a worker unless they can make a profit off them (assuming they can choose between a profitable and non profitable amount of labor). 5) Marx never really got to respond to this but he does imagine in Vol.4 an imiginary incident between a capitalist and a worker, where the worker persuades the capitalist to simply take interest from the commodity sold, as it will amount to a very similar thing as profit. They set a rate of 3%. At the end of the story, the capitalist stops being a capitalist when he realizes that he simply the workers banker and that he no longer gets the benefit of being a capitalist (realizing ever increasing surplus). In many ways, if capitalists are simply exchanging intertemporal time preferences with workers and gaining really nothing, then why do they exist? I think your critiques of time-preference profit theory are good. I think, if you haven’t read it, that you’d enjoy the Bukharin because he devotes an entire 2 chapters to this topic. An interesting essay by Maurice Dobb “the Trend in Modern Economics” (from “A critique of Economic Theory”, ed. Hunt and Schwartz) provides an interesting history of the evolution of time preference theory from abstinence theory. I think the biggest problem with time-preference theory is that it rests on a subjective value theory which is just nonsensical ideology. I’d be interested in reading your Bohm-Bawerk critique. Interesting. I think that the subject/object debate has a long history culminating in the agency/structure dichotomy. I doubt that the dichotomy subject / object is useful. Elias his concept of figurational dynamics is more interesting (and clearly indebted to Marx). I would suggest reading his work if you havent already. I would argue that Elias generalizes Marx his main use of dialectics on the capitalist mode of production to broader terrain. It transcends the dichotomy. Your post addresses the agency vs structure debate. I would say that people are interdependent on other people through different actions, intentions, unintended consequences of action and that these chains of interdependencies are relatively longer in the capitalist mode of production. This results in the appearance of a “structure” of an economic system which seems to exist independently of people. Are you familiar with this at all? Can you recommend a specific reading of Elias’s on this topic? Thank you for the reference. I would read his ‘what is sociology’. It sounds like an introductory text but it is more than that. It is a short text and reads like a novel. A further detail; Rubin’s point on ‘value as form’ was according to him known to Hilferding and Bulgakov and thus Rubin didn’t claim originality. hmmm. Thanks for the libcom post. I wish there was more rubin translated in english. Seems amazing that more hasn’t been done. These are very interesting and useful thoughts, thank you. One wonders how much of your criticism of what Bukharin writes here has to do with Lenin’s observation at the end of his life that Bukharin never quite knew the dialectic, and was thus never quite a Marxist. I look forward to your future thoughts on this book with much interest. Of course, these arguments have some currency aside from “abstract” theoretical problems. When Michele Bachmann states that von Mises’ Human Action is her favorite book to read on the beach, it is probably due to the fact that the Austrian school is becoming a serious ideological option for a section of the bourgeoisie and their minions. The false opposition of Ron Paul to the system also indicates that the “too much government” approach is the false solution that puts any opposition to actual capitalism into a free market slumber. It is no wonder that the Austrian school was dormant during the post-war economic boom, and only resurfaced in the early 1970’s with the first signs of real economic crisis (Hayek won the Nobel Prize in economics in 1974). Good take-downs of these ideologies are needed then, and this review seems to be heading in the right direction in that regard. Love the videos, by the way. Hope you come out with the next one soon. Agreed on the need for more engagement with the austrian ideology. There is a serious lack of it in marxist writing. I think it is because in the academy the austrians have never been a very important foe (rather it’s been sraffian economics or postmodernism that need to be battled.) Yet in the popular discourse there is a need for more clear rejoinders to the Austrians, especially as they base their ideology around a mythical opposition between freedom and a socialist straw-bogeyman. One of the goals of my law of value series is to counter many of these strawman arguments but not to let the argument get sidetracked by these arguments, but instead to use them as springboards for highlighting the uniqueness of Marx’s account of capitalist society. Thus, rather than engaging the subjective/objective debate, to frame it in a particular type of social relation unique to capitalism… ie, we would only have such a debate in a society defined by commodity fetishism. I can’t agree with this one. Maybe such an overstatement was acceptable when Bukharin wrote his critique, but austrians tend to assume bounded rationality, uncertainty, rule following, institutional context, etc. all of which makes the economy more of an emergent phenomenon than kinda linear aggregate of rational representative agents. This is quite true, but I don’t think it’s inherently related to every conceivable ‘methodological individualism’ approach. Of course, 101 neoclassic micro doesn’t deny that distribution of income and wealth are in fact variables influencing time and consumption preferences (i.e. the make for a social context -albeit poorly developed-), but as they are exogenously given at the end of the day you only get a Pareto-efficient equilibrium which doesn’t reciprocally influence the original distribution, so any endogenous feedback is neglected and at most you end up with an optimum assignation for some dubious criterion of efficiency, at the price of an overwhelming number of heroic suppositions and a ceteris paribus clause which hides what is most important: production, income/wealth distribution, accumulation, etc. But the theoretical insignificance of such a fairy tale doesn’t automatically preclude any other theory that starts from a bunch of individuals acting in determinate emergent sociohistorical situations, where both parts (individuals and society/institutions/market) mutually influence each other following an endogenous dynamic. This can be thought as some round of agents interactions (for example running an agent based model) or as mutually determined endogenous variables for time t (for example by means of some system of equilibrium differential equations). So it follows that I don’t believe the charge of circular determination (in the sense that A(t-1)->B(t)->A(t)->B(t+1)…) or the use of illustrative pedagogical examples that involve individuals facing schematic situations to be incriminating per se. Sorry to lower the tone from the high-level theory being discussed so far, but just thought I’d mention that, as a lay person, I found Youtuber InMendham’s response video to ‘HowTheWorldWorks’ on this topic insightful. (the relevant part starts at: 4:05, though it’s worth watching the whole thing). What’s great about InMendham is that he hardly ever mentions Marx (and I’m not sure which other economists have influenced him), but he still uses Marxist theory to construct simple arguments and analogies that even I can comprehend without needing months of study. What’s not great about InMendham is that he rants, swears, is angry and insulting, and generally looks shabby (I don’t personally hold these things against him, but people will dismiss him because of them). While I love your videos, I worry they’re too academic for the ‘HowTheWorldWorks’ crowd (and it appears that’s your target audience?) and to reach them we will need a mix of your polished style and InMendham’s brilliance at distilling complex theory into simple argument. Having said that, I’m only learning, and InMendham might have his theory wrong; I’d be interested in hearing that too. I appreciate your reminder to keep my audience in mind. I guess part of the problem is that I don’t always know who my audience is. It appears to be a mix of grad students and well-read autodidacs on one hand, and a more general lay audience on the other. There are also, it seems, a number of marxist academics who find it a curious project to keep their eyes on. I’ve always said that my audience is myself 2 years ago: that if I stepped into a time machine and went back a couple years, how could I explain everything I’ve read to myself? The problem with this is that I’ve evolved a lot as a thinker since the start of this blog and this self-2-years-ago is more removed from the lay audience than when I started. The other part of the problem is that there is so much nuance in marx that it is dangerous to over-simplify. I also really want to encourage viewers/readers to read marx on their own and not to rely on me for interpretations. But I think you are right that I do need to keep my audience in mind as the subject matter gets more sophisticated…. not easy to do. Thanks for the reply, Brendan. In my original comment I also wanted to mention that there is a lot of value in what you’re doing with this project, but stopped short due to worrying my comment would get even longer and (more) tedious to read. Also, my apologies if I came across as a bit of an arse, that’s not the intention. You’re right that you shouldn’t change course and dumb-down the content you’re creating, in this project; perhaps you would consider doing something different in a future one though? Perhaps instead of just explaining Marxism, you could use it to take on Libertarianism (for example). Anyway, that’s all a bit pie in the sky, what you’re doing now is great stuff and there are surely lot’s of people–myself included–enjoying it. Good article. I haven’t read much Marx. I read the Manifesto years ago. I am more familiar with the Austrian arguments from Mises and Hayek. I know Mises also wrote an in depth critique of Eugene Bohm-Bawerk. Also, Tara Smith, philosopher professor at University of Texas, wrote a book on the “Objective” theory of values titled, “Viable Values”. I think this may be another perspective to help refine the debate on values. The topic of value is very interesting to me. I think the Austrians’ subjective theory of value is confusing. I generally think of value as objective in the sense that objective reality dictates what is good or bad for the subject. The subject being the beneficiary of the value. Before you can say something is a value, you must first answer the question to whom or for what? In concrete terms, peanuts may be a value to one person and poison to another. In more abstract terms, giving your money to a charity you trust may be a value, but giving money to a known enemy may hurt you. I think the Austrian’s view values as subjective because of their perspective. They see one person buying peanuts and another person who would not touch free peanuts with a 10 foot pole. They also, see people doing harmful things to themselves. So they say their is no objective human value. It depends on the individuals subjective judgement. I think I may differ from the Marxist because I see the individual as the subject that determines whether or not something is of value. I disagree with Austrians in that I think values are objective from the perspective of the subject regardless of what the subject may subjectively think about it.